The Brunello Cucinelli Guide to Life and Business. | A Continuous Lean. Four years ago I had the privilege of meeting Brunello Cucinelli at his company’s home office in Solomeo. It sounds clichÃ© to say, but it was a day that fundamentally changed how I see the world as a consumer, a businessman and as a human. More philosophical than anyone you will ever meet in the clothing business (possibly in life in general), Brunello is a catalyst for fundamental positive change. It’s just his nature. It sounds contrived when you read some blogger say it, but in reality, Brunello Cucinelli (the man and the company) is one of the most compelling people I have ever met. 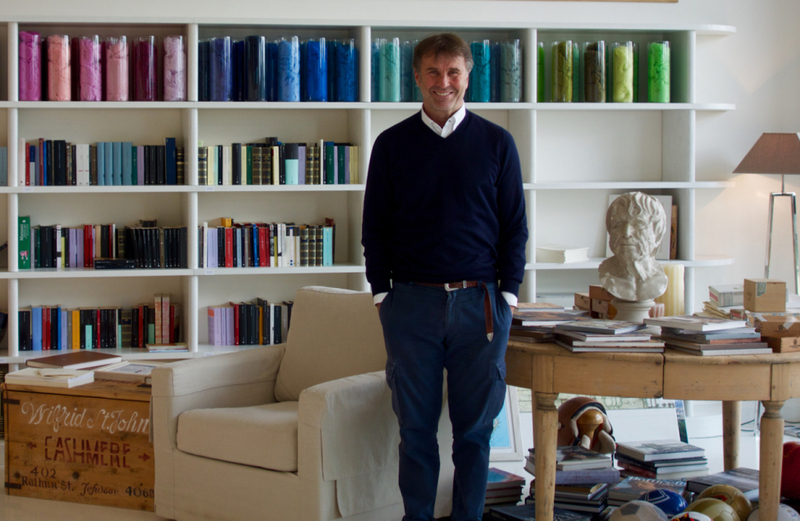 If character and integrity took the human form it would be Brunello Cucinelli. The fact that he sells some of the finest made and best looking clothing is almost just a happy coincidence. 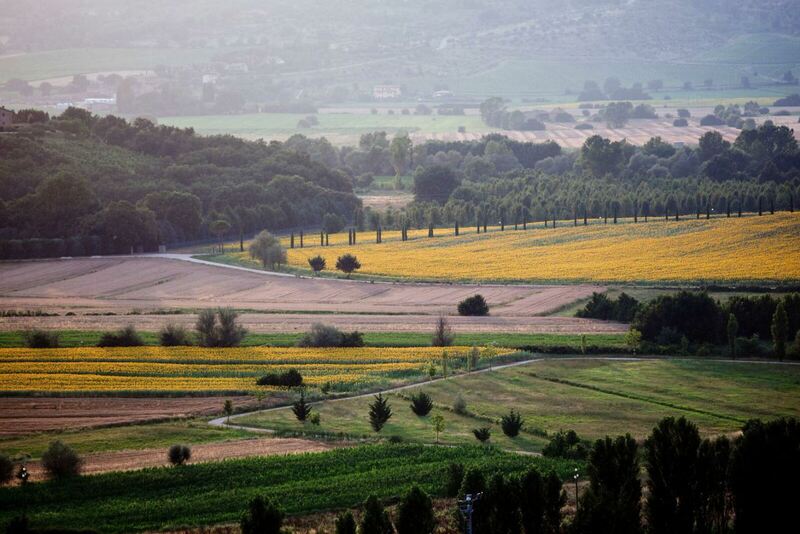 My pal the esteemed writer Om Malik made the pilgrimage to Solomeo himself to meet Brunello and learn more about the man his billion dollar enterprise operating quietly in Italy’s green heart. His interview is as important and compelling as any I have read. The coversation stands out because of both Om’s beautiful perspective and Brunello’s equally unique world view. With a nod to the tech world (and John Gruber), below I pulled out my favorite bits and pieces from this great conversation between two men of considerable respect. Here’s the original interview which is a must read. Basically, what is human dignity made of? If we work together, say, and, even with one look, I make you understand that you are worth nothing and I look down on you, I have killed you. But if I give you regards and respect – out of esteem, responsibility is spawned. Then out of responsibility comes creativity, because every human being has an amount of genius in them. Man needs dignity even more than he needs bread. In order to be credible, you must be authentic and true. Twenty years ago, something might be written about you in a newspaper. Then this newspaper would be scrapped, and that would be it. But now your statement stays [online] for the next 20 to 50 years – who knows how long for. To be credible, you must be consistent in the way you behave. In this company, you cannot send emails after 5:30 PM, when the company closes for the evening. I do not want to assign work to you where I feel responsible for ruining or altering your private life. It’s not 24/7, because here in the company, you start at 8 AM, and at 5:30 PM you are forbidden to work any further. No emails can be sent to more than two addressees, just one or two. No group mailing. Why must a single email be read by 10 different people, unless it’s the 10 people who are interested in that specific issue? In order to disperse responsibility? Om: You dropped out of engineering school to design cashmere sweaters. What was the attraction to cashmere? Brunello: I had read Theodore Levitt, the American, who used to say that developed countries were supposed to manufacture special handcrafted goods, because one day, new people would arrive who would make the same things but at a better price. The idea of doing luxury, â€œmade in Italyâ€ has always been with me. Why cashmere? Because I was using something that theoretically never goes to waste. You never throw away a cashmere pullover. The idea of manufacturing something that you never scrap, you never throw away – I liked it very much. Mind you, I had no money in my pocket at that time. Absolutely nothing. Brunello: What I have tried to do is manage the American market as if it were a domestic market together with Europe. I speak to the Dallas store as if it were the Venice store. Someone from San Francisco basically listens to the same music as someone from Milan. They wear roughly the same clothes. They have their iPad, their iPhone. Just think of how mankind has become more homogeneous.But true luxury lies in the fact that you are not too widely known. Om: There’s a lot of talk of manufacturing revival in the United States. Do you think it is feasible? If it is, what are the lessons from Italy that the U.S. can take? 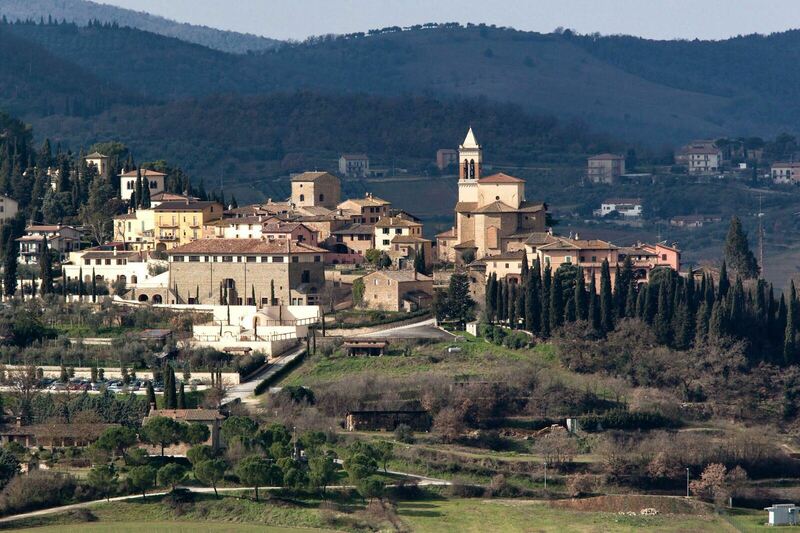 Brunello: I think that there is a trend toward going back to manufacturing there. People want to buy a â€œmade in the U.S.â€ thing. You want to buy a French champagne, but you also want to buy something from your own country. We have to rebuild the basis of all the skills. For example, the schools for arts and crafts. We have to start rebuilding. In order to do that, we need to give moral and economic dignity back to this kind of craft. Say you are a tailor. If you earn $1,200 a month, you are sort of ashamed to say that that’s your trade, because that’s the culture. We have to do the opposite. It should be that if someone sees you are a tailor, they say, â€œOh, you are plying a very great trade, the tailor.â€ That’s the moral dignity I’m talking about. Om: I want fewer interruptions in my day. I have eliminated a lot of things from my life. I’m on a declining scale of wanting things. Fewer and fewer things. I think that is one of the reasons I find your approach to life, a more philosophical approach to business, fascinating. This is a question of balance. Those who come to me and say, â€œYou know, I work 15 hours a day,â€ I say, â€œI am not interested.â€ I am interested in the quality of working hours, not the quantity. The brain of the human being. Do you think that during the first five hours of the day you are the same as you are in the last five hours? No way. You’re tired, and if you’re tired, you stop listening, and the decisions you make are risky. I want to work for him. Man of thought is hard to find. Great post. Cucinelli is an enlightened capitalist and a brilliant designer – the complete package. Thank you for bring this interview to light ACL. The (these excerpts and the full) read was truly a delight. Whether or not the consuming public agrees, I am glad there are businesses lead by people, such as Mr. Cucinelli, that are willing to put their intellectual convictions out for discussion. Refreshing perspective, I wish his executive style and philosophy would be more widely embraced. Yvon Chouinard of Patagonia is too one of those rare leaders in this industry with an eye to environment and the people that make these brands admirable for attributes besides their great products. the philosopher business man. Rare in this world. I admire his point of view, and strive to apply it in my own way here in America. What is it about our American culture that we focus so very much on quantifying success? The funny thing about life is that none of us get out alive. We need to slow down. Not often you hear mention of someone like John Gruber on a menswear blog. I’d be interested to hear your thoughts on the Apple Watch (or wearable tech as whole) at some point. Thank you for this post. There is such a thoughtful dignity to his remarks. Wonderful story. I suggest readers go to the company website. Much more information on the man and company that you may find as interesting as I did. I like how he makes the point about balancing between personal and professional life. Something we all need to remember. A very inspiring man, one day I’d love to meet him! Have been seeing the similar content interview reports about Mr. Cucinelli for years. I guess he already had the legit answer for every question people could come up with. Perhaps he had done a nicely job on honoring his employees; but given the price and the quality, the products are not honoring the customers in my opinion. For instance: some threads of buttons become loosen after several times of use and buttonholes are not durable. The dyeing process on some cashmere and cotton garments can result to serious color fading during the hand wash process. Not trying to be picky, but isn’t the small detail that makes high-end brands stand out?? All the articles about Cucinelli on the Internet are so positive and even kind of worshiping for his personality, and principles. Let us not ignore the fact that it is business after all, attention on the side of customers is also critical. I too love the aesthetic, design, and overall message he delivers. However, I have a very hard time understanding how a button up shirt can cost upwards of $700? I understand the respect for the craftsman, workers, and what he does for the town, but at that price, it’s just become extreme. I would love to support the company in a product manner, but will never be able to afford any product he sells. It’d be nice to see a product/line that was made for those who want to dress well and respect the ideals he represents. Yes, he has said the same thing in interviews for years — I agree with his stance on the dignity of work and workers. And that is why his sweaters cost a fortune — you are paying for the inefficiencies of his business model. That’s fine for luxury goods but not so much for everyday goods and services. all things being equal lower price will always win.